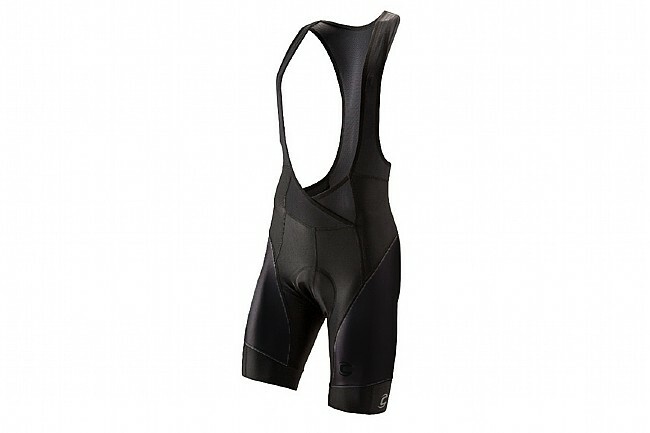 With four built-in pockets and a pressure-relieving crossed waistband, Cannondale's Endurance Bib Shorts makes putting in the big miles no big deal. The anatomic, multi-panel design provides excellent mobility and comfort, and it's supported with mesh bib straps up top for a secure fit. Inside, Cannondale's Save Plus chamois is made from 4-way stretch fabric and foam for seamless support that doesn't give up. Chest 36"-37" 38"-39" 40"-42" 43"-45" 46"-48"
Waist 31"-32" 33"-34" 35"-37" 38"-40" 41"-43"
Hips 36"-37" 38"-39" 40"-42" 43"-45" 46"-48"